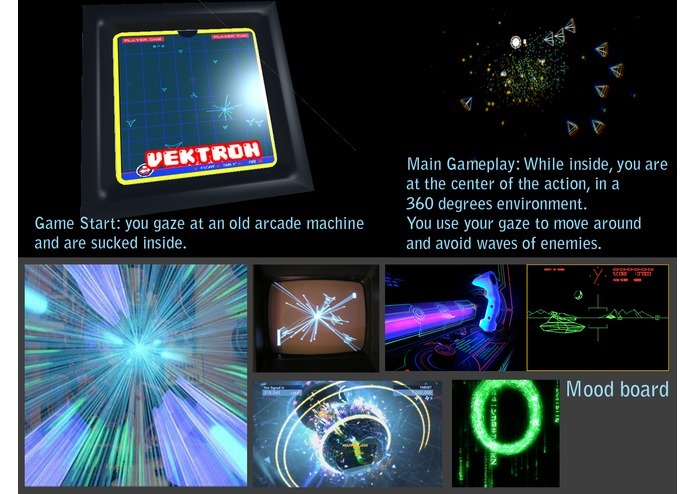 Inside an old arcade shooter, you use your gaze for movement to defeat waves of enemies all in full VR glory! You gaze at an old arcade machine and are sucked inside. 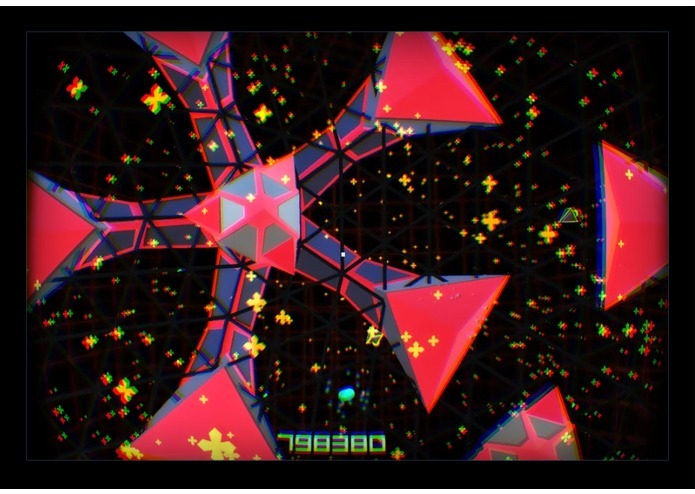 While in, you are at the center of the action, inside a 360 degrees environment filled with bright polygonal shapes and FXs. 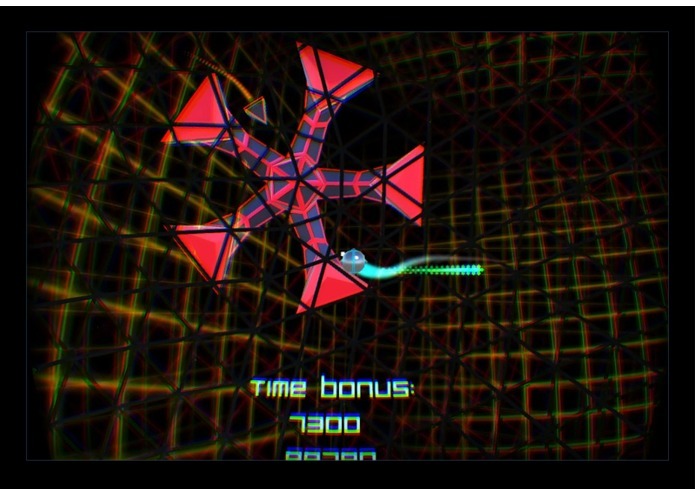 You use your gaze to move around and avoid waves of enemies to survive. You automatically fire to defeat the enemies. 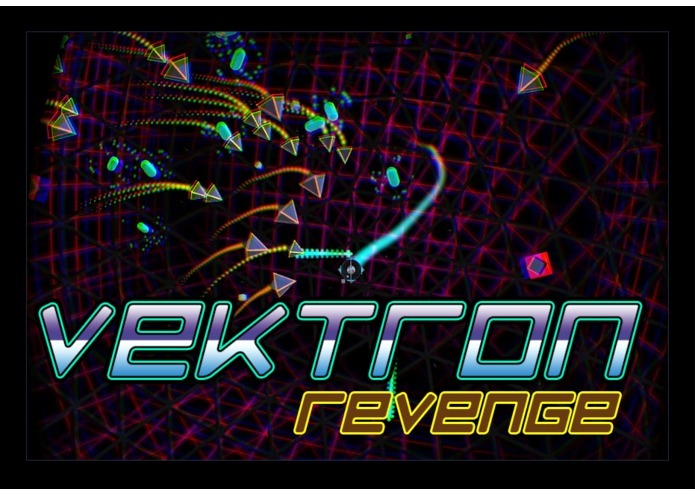 Vektron Revenge is designed to be as easy as possible to experience. That doesn't mean it is not challenging and fun. The only control is your gaze. No extra controller, no pad interactions, just head movement. Your ship will swiflty go where you look at. Head movement is surprisingly precise. Even the main menu screen is devoid of any menus. Just look around and you'll find how to start the game naturally. This keep immersion to the maximum. Since everything happens in a fantasy world with no real sense of scale, you can play sitting or standing without it breaking immersion. Lastly, swivel chairs are fun! 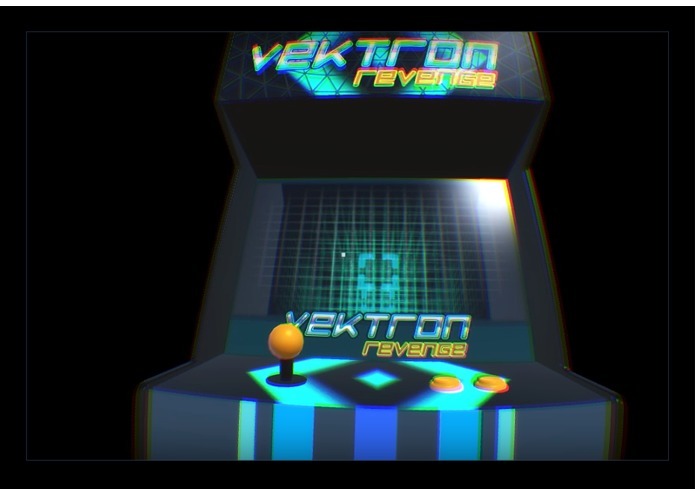 Vektron Revenge is a tribute to classic arcade shooters, and since shooters are fun on every platform, there is a lot that can be done to make them anew in VR. 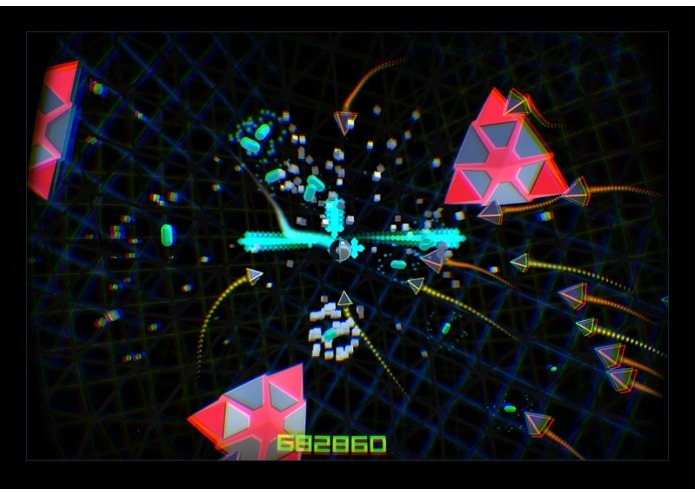 The goal of Vektron Revenge is classic: survive as long as possible and score as much as possible. 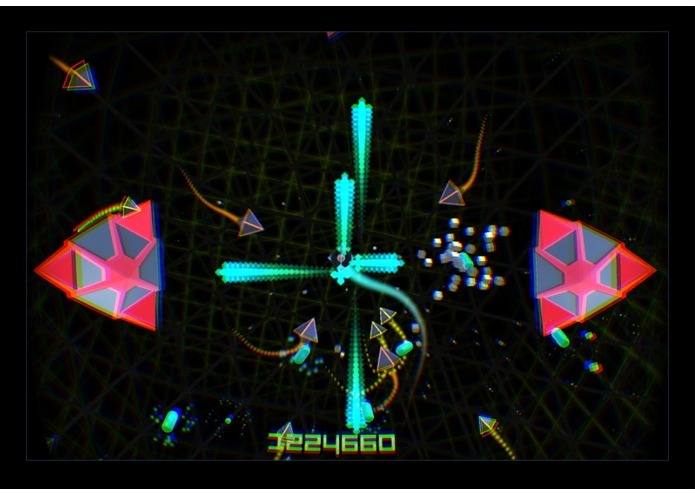 By moving around you must avoid flying enemies and deadly obstacles. You score by shooting enemies and grabbing the bonuses they drop. The longer you wait for the grabbing, the less score you will get from that bonus. Since the only input is your head, you auto-shoot sequentially in all four directions. This means you need to time your position next to the enemies for your bullets to hit them. Once your 3 lives are gone, the game is over and you can start again or hand the headset to your friends. (A working leaderboard is not present at the moment, but the intention is shown at the begining). The most comfortable situation right now for VR (with no positional tracking) is a fix point of view. 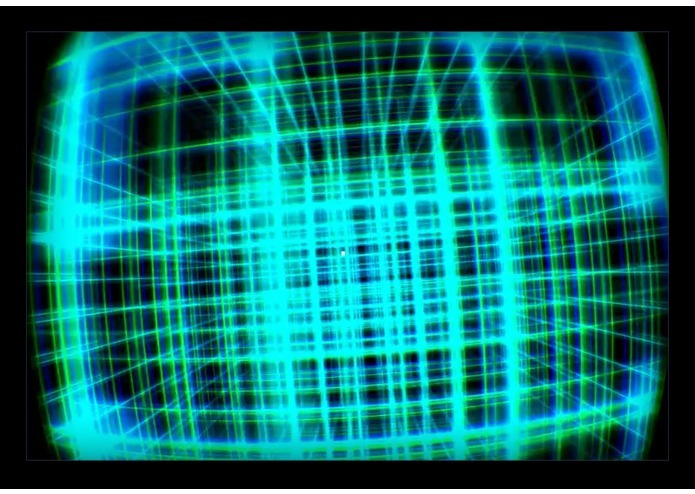 To make an interesting shooter with a fix point of view a simple solution is to create a play-field that is a 360 sphere. Just like watching 360 photos, but you play instead. With a highly portable device like the Gear VR, minimum and natural input method (only your head) is probably the easiest. 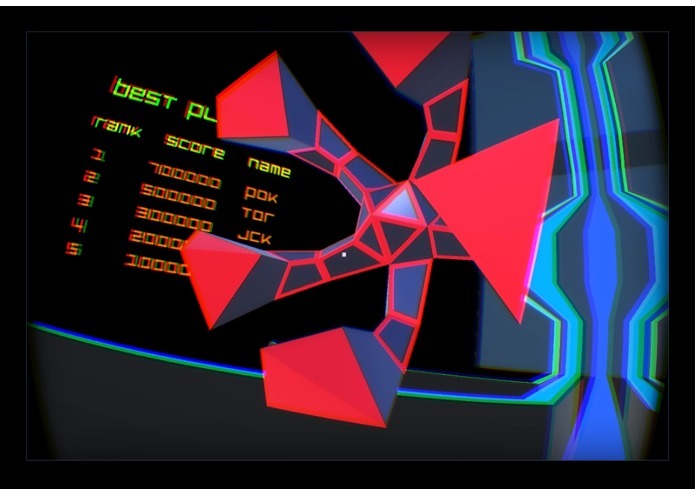 Finally, a game of Vektron Revenge is relatively short (a few minutes), so it's perfect for a quick VR fix or a social VR party. I found out during my tests that objects where the action happens are well situated at around 2 meters (6 foot) from the viewer. Focusing at this distance is comfortable and gives a good sense of depth in VR. 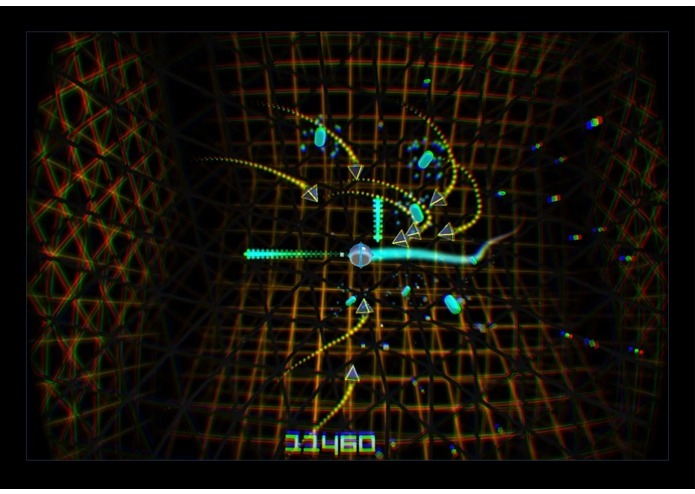 I also implemented different layers of depth with moving objects coming from far and reaching the action zone at 2m. Background elements can be set further to set more depth. Finally, some in your face FXs add to the immersion in the close range.